I have a couple of issues with Ted Butler's comments in his interview this week with Eric King of King World News (http://www.gata.org/node/7705). First, I greatly admire Butler's analytical work in silver, which is well-researched and meticulous. I disagree with his opinions expressed in that interview. 1) Butler speculates that J.P. MorganChase has hedged its silver short position on the Comex via instruments like over-the-counter derivatives and so now may not care if the silver price goes up. The issue with precious metals short positions is the ability of the shorts to deliver real metal. Any hedging with derivatives will not necessarily result in silver being delivered to MorganChase; such hedging might deliver only dollars. I agree that MorganChase could hold call-type derivatives that in theory would provide the firm with a neutral dollar-denominated risk on its Comex silver shorts if the silver price rises. This of course would assume that the counterparties are capitalized enough to pay up if silver rose in price significantly. The OTC derivatives market is totally unregulated with no clearinghouse, so the ability of such counterparties to pay is questionable. But if we are going to postulate that MorganChase has dollar hedging of its silver shorts, I don't think we have to invoke the questionable OTC derivatives market. For MorganChase has the ultimate dollar hedging because the firm is essentially the Federal Reserve and the Fed has a "technology called the printing press," as Fed Chairman Ben Bernanke famously bragged. We know that MorganChase and the Fed are essentially the same entity because MorganChase was selected by the Fed to take over Bear Stearns for $2 per share with no due diligence and apparently no competitive tender between rival banks. When Bear Stearns shareholders protested the $2 per share offer, it was arbitrarily increased to $10 per share. What normal enterprise could suddenly increase a takeover bid by 400 percent without batting an eye in times of great financial stress? But if you have a money-printing press, who cares what you pay for Bear Stearns? If MorganChase has access to unlimited dollars, then the firm can roll its Comex futures indefinitely and never have to deliver and never have to cover. But this does not imply that the firm does not care about the silver price rising. The firm's whole raison d'etre as the big short in Comex silver is to cap the price. I think MorganChase does care if the price of silver rises because the Fed doesn't want that. The silver price manipulation will end when there is a silver shortage, but it won't be MorganChase that defaults, because the firm will continue to roll contracts and cover its dollar losses. The physical silver market is under growing stress. China's encouraging its citizens to own silver could be the straw that breaks the camel's back. China was the last country to be on a silver standard. The word for "bank" in Chinese means "silver movement." The Chinese associate silver with money just as Mexicans do, because the Mexican peso used to be denominated in silver. There appears to be a cultural affinity for silver, so this is explosive for a nation that, like China, earns so many intrinsically worthless dollars. 2) Butler also has commented favorably on the U.S. Commodity Futures Trading Commission's withdrawal of exemptions from speculative position limits for Deutsche Bank Commodity Services LLC (http://news.silverseek.com/TedButler/1250788825.php). Butler extrapolates that the CFTC is doing what it promised in re-imposing position limits and figures that the agency eventually must reduce the concentrated short position in silver. I don't draw the same conclusion. Deutsche Bank is a hedge fund that is long commodities. The withdrawal of its exemption fits into my view of the new CFTC chairman, Gary Gensler -- that, like his predecessors, he wants commodity prices to be low, as that is thought to be good for the United States. So the CFTC continues to attack investors in commodities. The CFTC is convinced that long-side speculators caused the boom in commodity prices in 2008 and does not see the real problem, which is the unlimited creation of dollars, whose depreciation has to be hedged. The suppression of prices by allowing short-side speculators unfettered freedom exacerbates the problem, choking off investment in commodity production. I wonder if this singling out of the Deutsche Bank hedge fund could be related to speculation that Germany has asked to have its national gold reserve returned from storage in the United States. Now that Switzerland won't sell any more gold, its leading bank, UBS, is threatened with criminal action by the U.S. government for helping U.S. citizens evade taxes. Are these really just innocent coincidences? If Gensler is the knight in shining armor who is going to clean up the Comex, then why hasn't the CFTC's Enforcement Division issued a report and criminal indictments in its almost year-long investigation of the gold and silver markets? How long does it take to recognize massive concentration of the short positions there? How could the CFTC possibly be contemplating a solution to manipulation, such as the imposition of strict position limits, without first even acknowledging that there is a problem? Gensler used to be adamantly opposed to regulation of derivatives, a detail that seriously delayed his confirmation as CFTC chairman. He is a former officer of Goldman Sachs, a company that thrives only by manipulation and front-running markets. Has Gensler had an epiphany? Did he see the burning bush? Has he suddenly become a man of the people mounting a crusade against manipulation and corruption committed by his former employer and cronies? I do not give the benefit of the doubt to people with such a past. Given Gensler's past, he is guilty until proven innocent, and his clamping down on long-side investors in grains at Deutsche Bank Commodity Services only compounds my fears. I think the gold and silver cartel will be defeated only by the physical market. 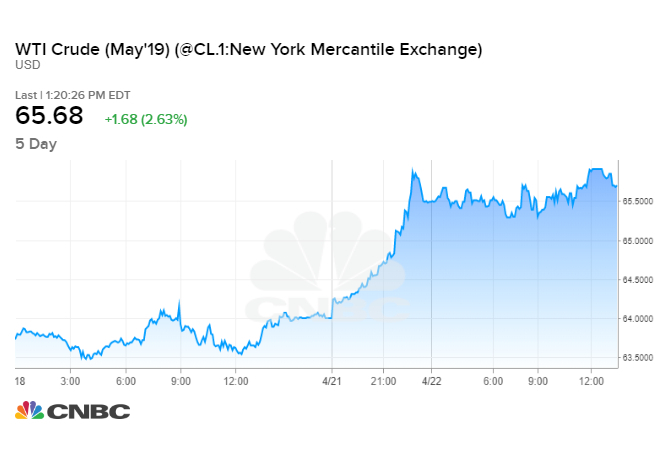 The precious metals will not suddenly be liberated from price suppression because MorganChase has a fiat dollar hedge or because a cartel stooge at the CTFC supposedly gets a conscience and pretends he is Eliot Ness. I have a lot of respect for Butler's work but I'll take the opposite side of the trade here. Adrian Douglas is a commodity market analyst, publisher of the Market Force Analysis letter (http://www.MarketForceAnalysis.com), and a member of GATA's Board of Directors.